Letters on Abortion, 2 | Theopolis Institute | Bible. Liturgy. Culture. Thank you for your very thoughtful and respectful response. I had no intention, and I doubt you do, of initiating an ongoing email debate on this issue. But it does seem to me that one response is not out of order. I have no illusions that you and I are going to agree at the end of this discussion, but to quote Dennis Prager, “clarity is more important than agreement,” and I would like to at least clarify our stances. You obviously regard abortion as at least an undesirable thing. You are no doubt a decent person and could never regard any abortion as an unqualified good to be rejoiced in. But why? So let me ask a question. You say that you oppose abortion as birth control. But the reasons for your opposition, beyond some sense of emotional horror, are unclear to me. How would you argue with a Chinese peasant, who freely chooses this action, that such a thing is wrong? 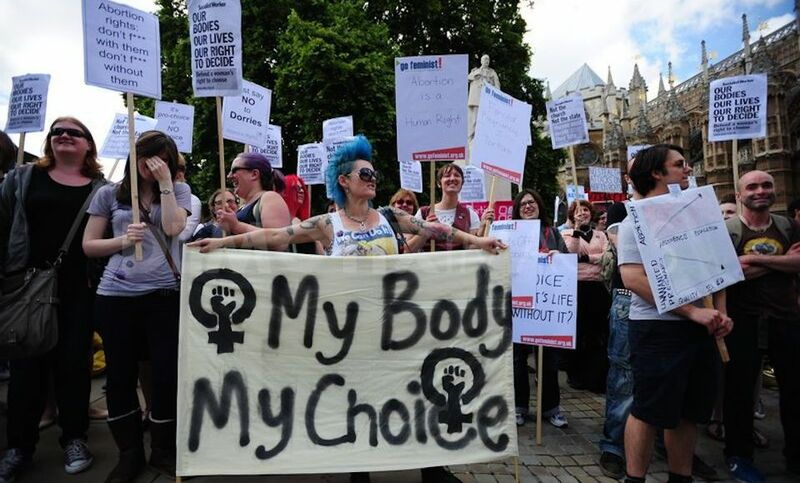 There are apparently other abortions that you say you would oppose, because you are only in favor of abortion on the grounds of the life, health, and future of the woman. But what does that mean? The test is what abortions you would actually oppose, even morally, since you seem to oppose any legal restrictions (if I understand you correctly). You clearly justify abortion on the grounds of the hard cases (health and life of the mother, fetal viability), but are you also in favor of abortion for more trivial reasons? What about an abortion if a pregnancy will interfere with a college education? Or an abortion if a pregnancy is an embarrassment to the girl’s family? Or the final test case, what if the woman simply chooses abortion because it is available, and the choice is possible? Is the woman’s choice the highest good, and is there ever a reason to believe that that choice, if exercised with no coercion, is ever wrong? What I want to know is what abortions would you morally oppose, and on what grounds? You argue vigorously for the right of the woman. As far as I can see, that right is virtually absolute. Is it absolute? It appears to me that for all of the talk about moral complexities, you really at bottom have a very simple, almost fundamentalist, moral absolute. The woman’s right to abort, if that is what she feels she wants to do, is complete. If it is not, where would you oppose it, what line would you draw? Again, beyond your feelings, why is the Chinese peasant wrong in aborting for birth control, if it is a free choice? Am I wrong that the rhetoric of “life, health, and future of the woman,” is more or less a wax nose that means nothing more than, “her choice is absolute?” Words like “health” and “future” can be stretched to mean almost anything. If this is untrue, which abortions would you oppose in opposition to the feelings of the woman? For the record, let me quote what in fact Bonhoeffer did say about abortion. “Destruction of the embryo in the mother’s womb is a violation of the right to live which God has bestowed upon this nascent life. To raise the question whether we are here concerned already with a human being or not is merely to confuse the issue. The simple fact is that God certainly intended to create a human being and that nascent human being has been deliberately deprived of his life. And that is nothing but murder.” (Ethics, 175-6) He goes on to say, and this speaks to all of your concerns: “A great many motives may lead to an action of this kind; indeed in cases where it is an act of despair, performed in circumstances of extreme human or economic destitution and misery, the guilt may often lie rather with the community than with the individual” (176). Indeed, I believe that at this point, most abortions are in some deep sense the fault of the community, but probably for reasons that would be different than yours. We are awash in a sea of empty choices, of empty freedoms. We are told that if we have 900 channels coming into our homes via cable, that our lives are ten times more meaningful than if we only have 90 channels. Life is only good with a panoply of choices. The more choice, the better. We have been reduced to moral consumerism. Tom Wolfe’s I Am Charlotte Simmons and his previous book have recently explored everything around “hooking up.” The world of unlimited sexual liberty and the unlimited anxiety surrounding it is the world we now live in. And it is the world fostered by an ideology of absolute, and empty freedom. As far as I can see, abortion is always justified by its proponents with hard cases. But then, hard cases get softer and softer, and finally, it is justified simply because it is a choice, and choice is paraded as a new but disguised moral absolute. For anything to have moral shape, two elements are needed. One is free choice, and oddly, the other is necessity. If I only have freedom, even if I have an infinite number of possibilities before me, but there is no moral necessity for any of them over any other, then the meaning of my choices is reduced to zero and to complete nothingness. When Luther said, “Here I stand, I can do no other,” he embodied the highest kind moral decision it is possible to make. He did what he did freely, but he was compelled by utter moral necessity. Oddly, without necessity, freedom is destroyed and collapses into sheer arbitrariness. It is amazing how America has been entirely overtaken by German values theory of the sort proposed by Max Weber, Nicoli Hartmann and above all, Frederich Nietzsche. “We are all Nietzschians now,” to paraphrase another thinker. Values with no necessity are simply to be chosen, and this is the new orthodoxy. Are you serious? Every effort is being made to keep parents out of the decision by the ACLU, once again parading as “protecting privacy and choice.” And of course, no one in an abortion clinic would ever exploit a frightened, anxious pregnant adolescent girl, and she is always given all of the possible choices and alternatives that could be before her. For all your talk about “counseling,” I seriously doubt if any Planned Parenthood clinic in America ever give the possible alternatives to abortion to young frightened girls who walk through their door. No, for all practical purposes, the New Orthodoxy of Choice only offers one alternative. And that alternative, by the way, is a many billion dollar a year business. For all of the cynicism that I hear all of the time about big business, why is never even an iota of skepticism voiced in regard to the very propagandists for abortion who make very handsome livings out of it? Do you think our local abortionist and his ilk are disinterested idealists? I guarantee you, they are making a lot more money than my friends in Caring Pregnancy Centers who get accused of being fascists and cynical exploiters and anti-choice all of the time. A lot of things in the world have to be tolerated. A certain amount of prostitution probably has to be tolerated. Gambling may have to be tolerated. When people spit on the street, or blaspheme in public, probably these things have to be tolerated. And yes, undoubtedly some abortions will always take place in the best of possible worlds, and some abortion will have to be tolerated. But I don’t see the smallest movement on the part of pro-abortionists to make abortion “rare” as so many pro-abortionists claim they want it to be. Even at this late date, abortion is held up as the ultimate test case of “choice”, and nothing – no nothing – is to be allowed to interfere with that. Now, I hope you do not believe this. In the first place, how could you know this? These are supposed to be confidential transactions. But if you believe this, you are one of the propagandized. It is simply untenable. There is almost zero medical need for abortion nowadays. Fetology and advances in caring for pregnant women have advanced a little bit beyond the medical dark ages you seem to be imagining. Rather, this is propaganda designed to lend a little bit of necessity to what in fact is a lot of complete moral arbitrariness.